The school was started by Pooja Mishra, an IIM Calcutta graduate. Post her MBA from IIM Calcutta she opted out of the placement process to start a school for underprivileged children.Pooja is 1 of the 7 people selected from across the country for the Indian School Leadership Institute who trains the school leaders in collaboration with KIPP schools USA. Gurukul Public School is a charitable school providing free English medium education to rural underprivileged children through one on one mentorship\sponsorship by accomplished socially conscious individuals across the world. This model not only makes quality education accessible to even the most underprivileged children but also opens their horizons to global opportunities through their mentors. At the same time it also gives the opportunity for the mentors to connect back with their roots and discover the joy of giving by guiding their children onto a completely different life path. Gurukul is a dream! A dream set in the belief that if given the right opportunity every child can flourish and a belief in education being a social emancipation tool that can overcome social barriers of our society. Gurukul is a dream to spread the gift of education to the millions of children who languish without proper education in the far flung villages of U.P. where school buildings are there but neither are there any teachers nor is there any education! With this dream Pooja Mishra started Gurukul with 24 students in 2012 and now has 876 students. 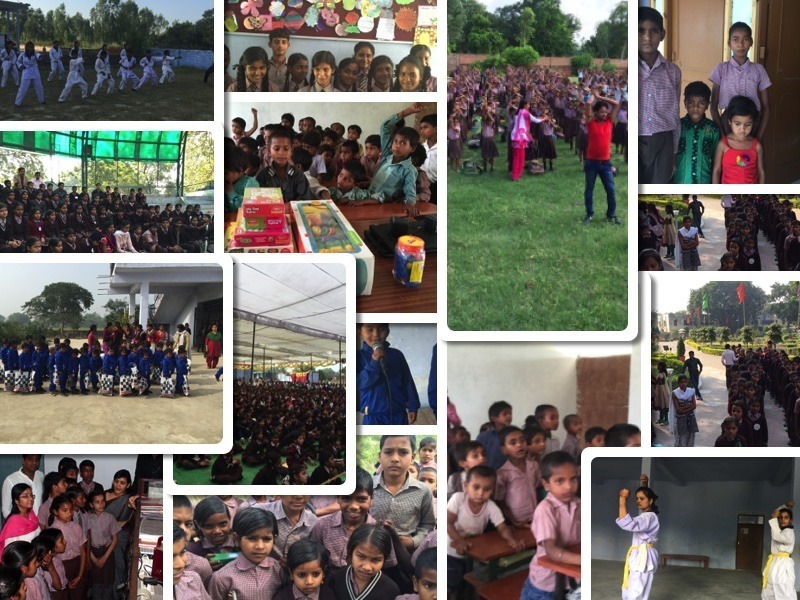 The school is located in a remote village (Purasi) in the Raibareli district and is supported by IIM, IITs,NITs alumni network and many other socially conscious individuals. The school has classes from Nursery to Class IX and is in a low-income area where the parents find it difficult to afford a fee of even Rs 100 a month. These children need the support of the people like you who can give wings to their dreams. We are in need of new classrooms for the children. You can help us by donating for this cause and help us build the classrooms for these children. The cost per class room is Rs 5 lacs.